I know what you’re thinking.. That looks like the cookie of my dreams but I can’t fathom the effort of making not one, but two cookie doughs! 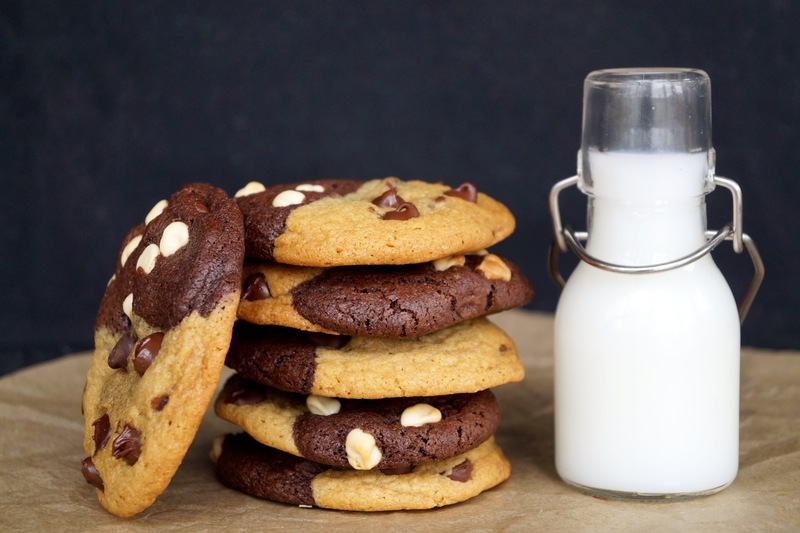 I’m not here to tell you that it’s the quickest, most convenient cookie recipe of all time, but I will say that it’s not difficult and the effort is SO worth it. 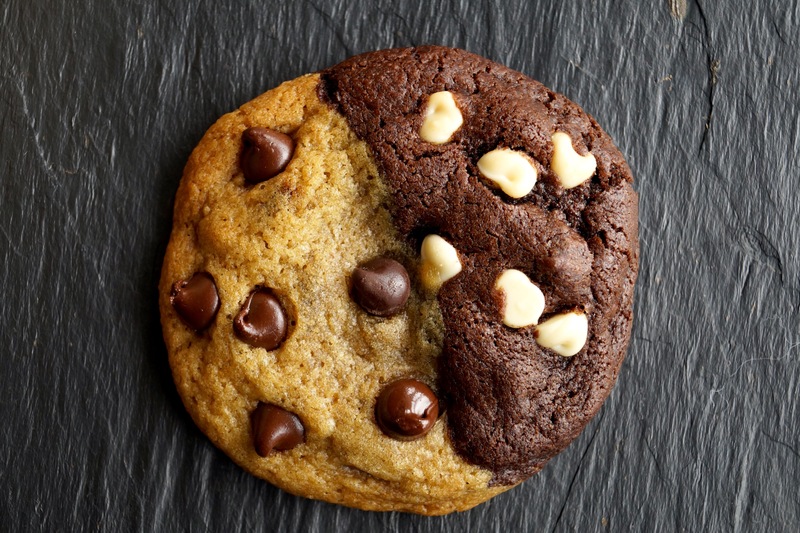 This cookie is literally the best of both worlds! 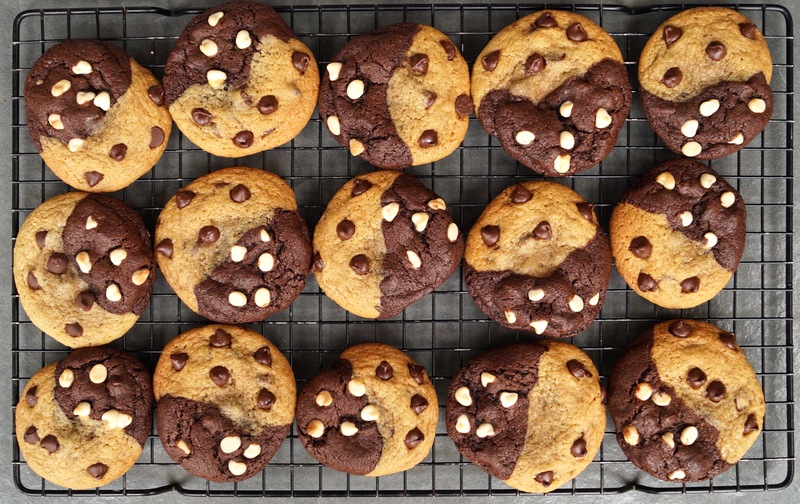 I think the technical term is “brookie” – like, half brownie, half cookie? Whilst I like how catchy that is, I don’t think you could call the chocolate half a brownie. It’s definitely a chocolate cookie. And it works super well! My mum actually commented on how the brookie was pleasant because it wasn’t overly sweet… She then proceeded to eat another two just to make sure. These are great to make as a lazy Sunday afternoon activity, or as something a bit more special if you have people round. Everyone will appreciate the effort because let’s face it, they look sooooo pinterest-esque!